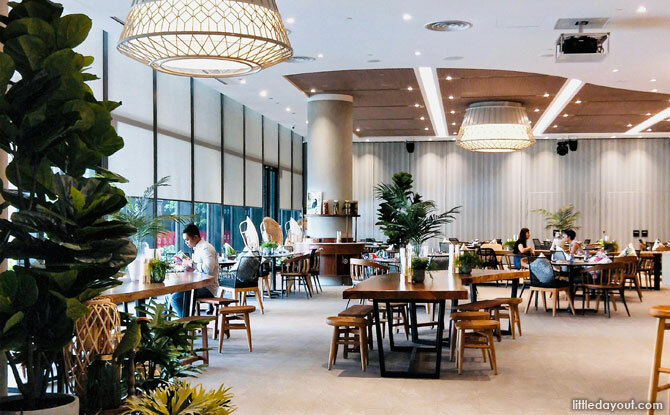 When a staycation at the newly-opened Village Hotel Sentosa presented itself, I could barely contain myself being in desperate need of a little break. 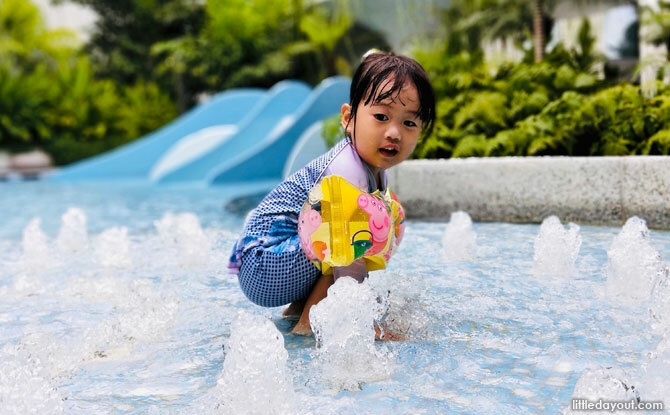 Conveniently located a mere stone’s throw from Imbiah Station, and numerous family-friendly attractions like KidZania Singapore, Universal Studios Singapore, and Sentosa Merlion, Village Hotel Sentosa is the new hotel resort you and your family need to check into for your upcoming staycation! 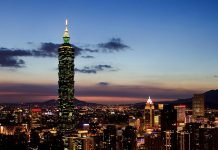 For starters, check-in was smooth and painless. 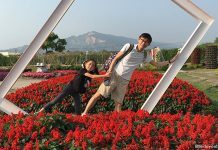 It really helped that my daughter was kept busy at the Village Important Kids (VIK) Check-In Counter. 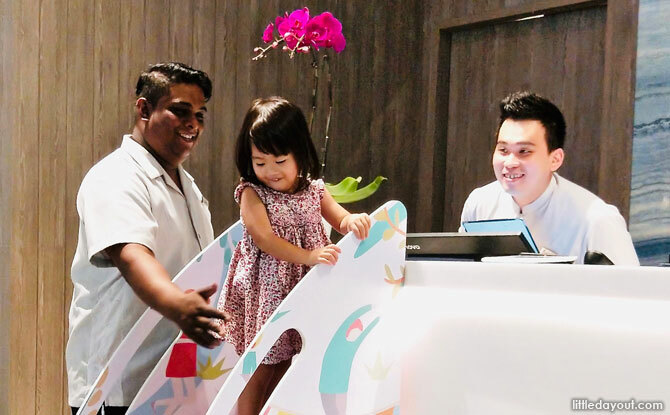 She loved being a part of the action at the Front Desk – just like mummy. I was relieved not to have to jostle with my bags, and her at the same time! 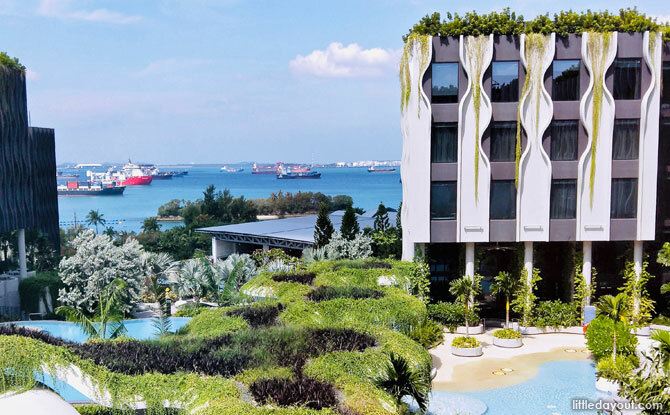 Decked out in neutral hues of sea-green and sand, Village Hotel Sentosa is a sight for sore eyes. 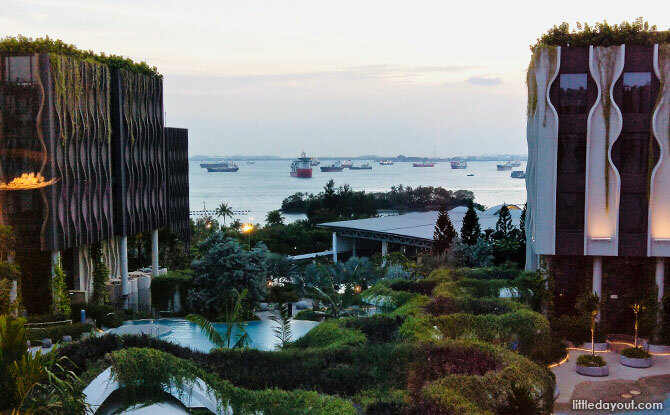 Aesthetically, I love that the hotel is modern – almost avant-garde – with hints of tropical lusciousness. Our Deluxe Room did not disappoint too. 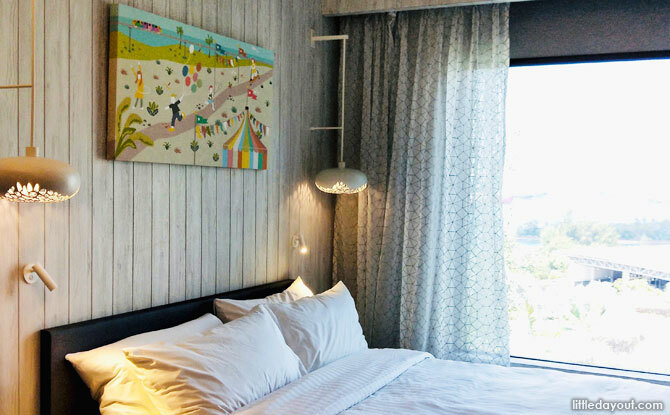 The wooden flooring in the room is perfectly resort-style, while the accents – green bathroom tiles, light pine carpentry, and ultra-modern ceiling bedside lights – are minimalist. Everything comes together comfortably for that home-away-from-home feel. If you can, opt for a room with a Sea View. The rooms overlooking the South China Sea offer a spectacular view which certainly took my mind off the hustle and bustle of everyday city life. There was no missing the sprawling sight of the pools from our Deluxe Room, so my daughter got into her swimmers fast! With four different pools to choose from – Children’s Play Pool, Lazy River Pool, Adventure Pool, and Pamukkale Pool – guests will be spoilt for choice. There are two mini-slides in the Children’s Play Pool which kept my daughter entertained from the get-go. I thank them for making bedtime such a cinch that night! Not only can guests enjoy breathtaking views of the sunset while lounging by the pools, but come nightfall, you could even catch Wing of Time’s twice-nightly fireworks displays. On holiday but don’t want to skip your exercise routine? 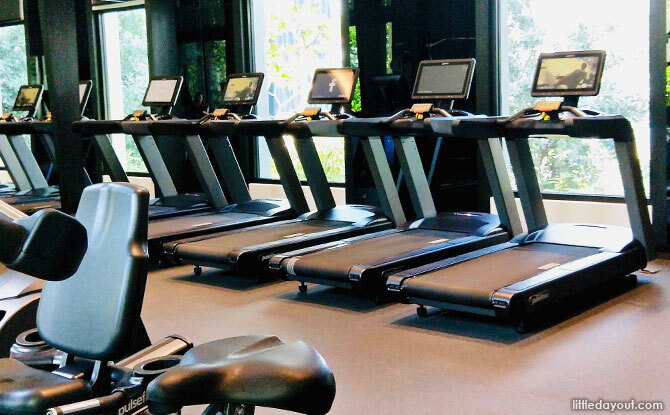 There’s an indoor gym on the same floor as the pools, complete with treadmills, weights, and fitness bikes. 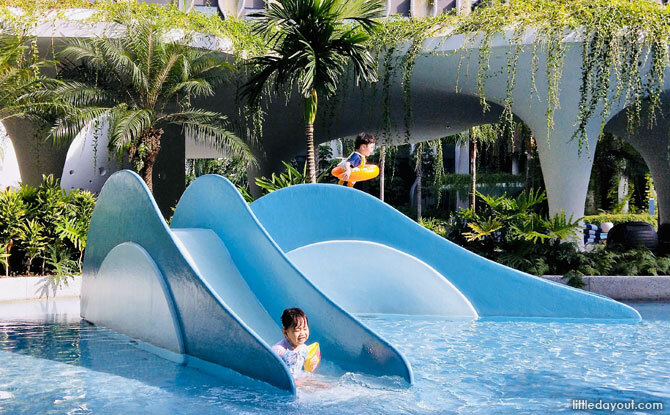 A family-friendly hotel, Village Hotel Sentosa has a myriad of activities up its sleeve. On the weekends, the Pool Deck will be transformed into an outdoor movie zone; think popcorn stations, and plush beanbags. If you’ve ever wanted to watch a movie while swimming, you know where to be! 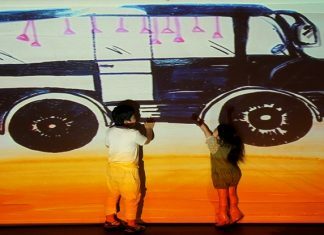 There are also daily activities such as Scavenger Hunts organised with the children in mind, so there’ll never be a minute of boredom. 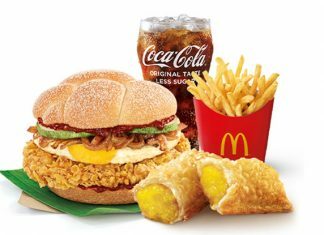 With In-Room Dining Service, and Native Kitchen, Village Hotel Sentosa’s all-day restaurant offering Polynesian and international cuisine, you will never have to worry about hunger pangs. 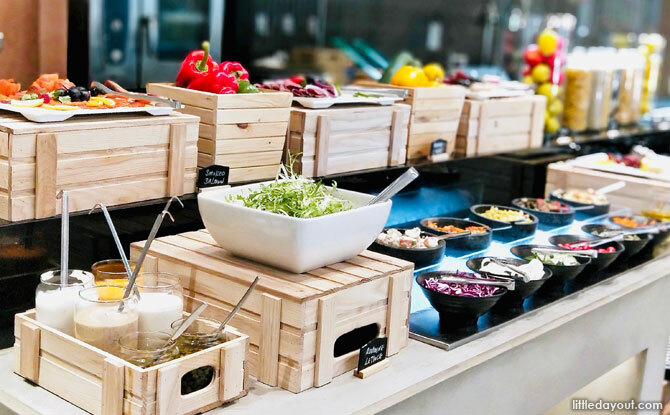 The morning’s Continental buffet breakfast – with the usual suspects of roast potatoes, scrambled eggs, freshly-baked breads, and even congee – is served in Native Kitchen. Remember to pop a few of their Blueberry Jam Muffins on your plate! 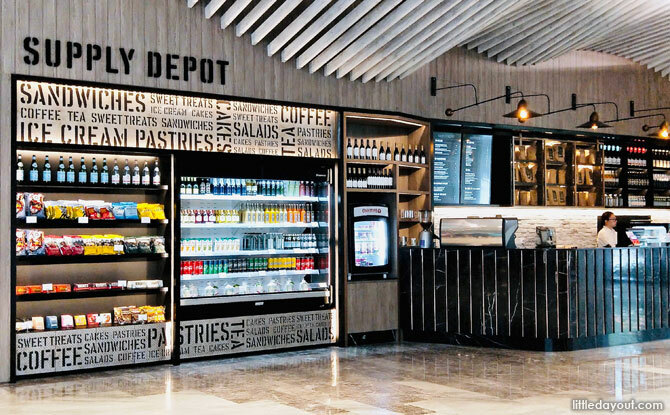 If you’re feeling peckish, Supply Depot is a casual cafe on the ground floor which offers a selection of drinks, sandwiches, salads, and more. 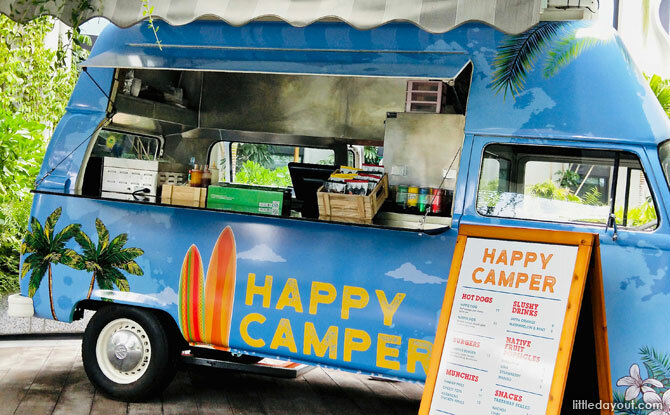 A Kombi VW Van Food Truck, also known as The Happy Camper, is parked at Village Hotel Sentosa’s Pool Deck. Serving up a small selection of for nibbles and drinks – including Hot Dogs, Shaker Fries, Slushy Drinks, and Native Fruit Popsicles – guests don’t have to look far when the munchies hit! 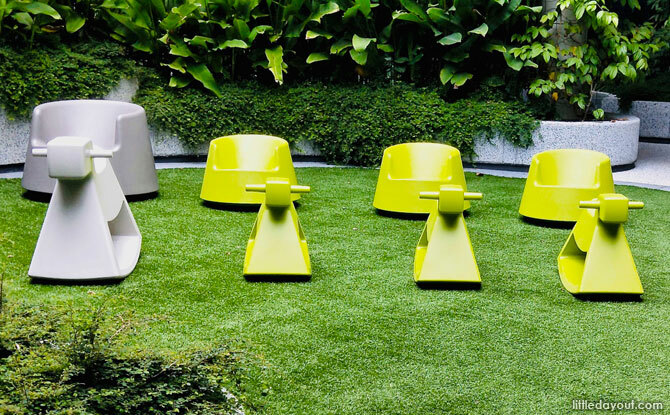 In order to reduce their carbon footprint, Village Hotel Sentosa has in place eco-friendly initiatives which I really appreciate. 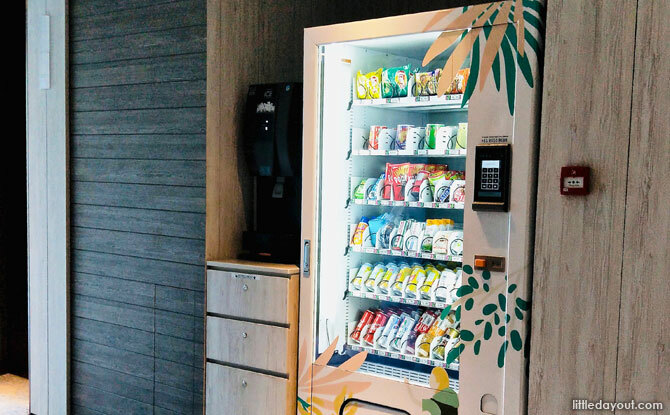 For example, guests will find ice-dispensing machines, and sachets of coffee and tea in the Village Hub, a refreshment corner if you will, located at the lift lobby on every level of the hotel. 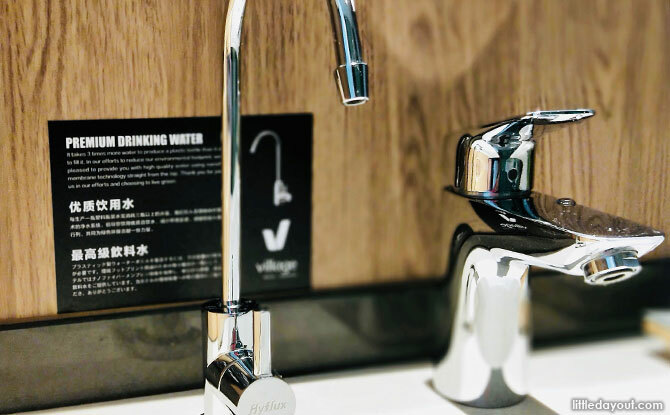 At the same time, instead of bottled water, all rooms are equipped with a tap that provides filtered drinking water using Hyflux’s proprietary nano-fiber membrane technology. 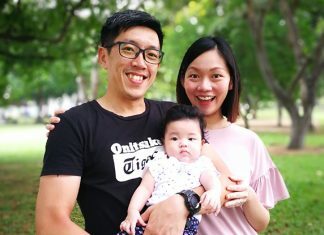 If you’ve been wanting to organise a family staycation on Sentosa Island, Village Hotel Sentosa is definitely worth checking out. 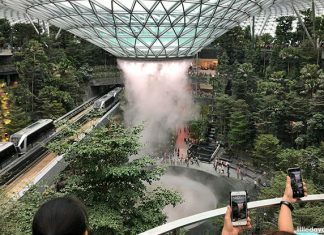 Consider staying two nights at the very least to get a solid dose of all that Village Hotel Sentosa and the island have to offer.